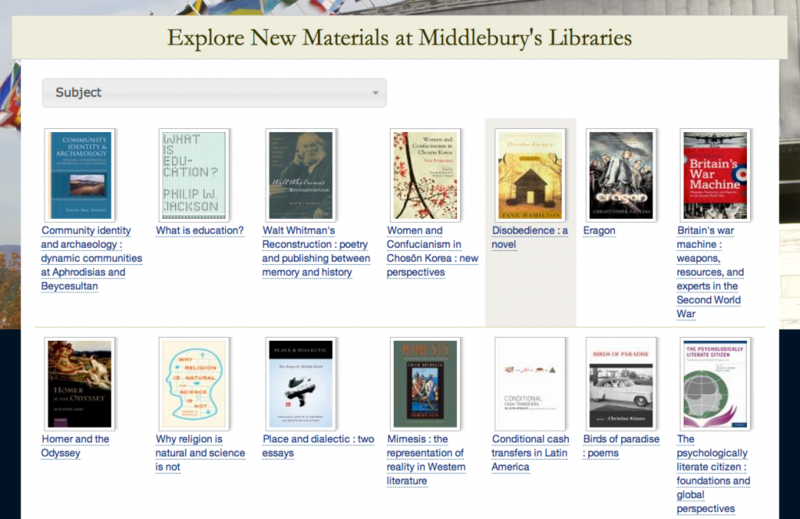 Though we love to see you in the library, we’ve added a new website where you can view a changing sampling of new books, DVDs, and other materials as we acquire them for the College’s Libraries. Check out our new feature and then check those books out and start reading. You’ll have to come to the library for that. This entry was posted in LIS Staff Interest, Middlebury Community Interest, Post for MiddNotes, Post for MiddPoints and tagged Library Spotlight on April 25, 2012 by Rebekah Irwin. This is Awesome! Looks like a bookstore website.